THE WILL AND FANNY KIRBY has a proud history of service in North East England, first at Seaham, County Durham where she saved 66 lives and then at Flamborough on the North Yorkshire coast where she saved 43 lives. The Oakley, named after the RNLI naval architect Richard Oakley, was the first class of wooden self-righting lifeboat to be built after the Second World War. A very stable sea boat, the self-righting capacity was achieved through the installation of a water ballast transfer system. This allowed water to pass from tanks in the bottom of the hull to a tank in one side of the upper hull if the boat turned upside down. The sudden change in weight distribution forced the boat to self-right. In November 1973, when stationed at Seaham, she was called out to help eighteen anglers stranded on the end of the pier, completely cut off in the heavy seas. Coxswain Arthur Farrington, manoeuvred THE WILL AND FANNY KIRBY into a corner under the pier and encouraged the anglers to jump one at a time into the lifeboat, a dangerous operation in which he sustained head injuries and a broken wrist. He was awarded the RNLI Bronze Medal for courage and gallantry. In May 1985, in the dangerous waters near Flamborough Head, a fishing coble was crabbing too close to the cliffs. The weather was appalling, a near gale force 7 with a huge sea swell. THE WILL & FANNY KIRBY launched to guide the fisherman home but when they reached him they found that a rope caught in his propeller could not be cut out – it took two hours to slowly shepherd him to safety. 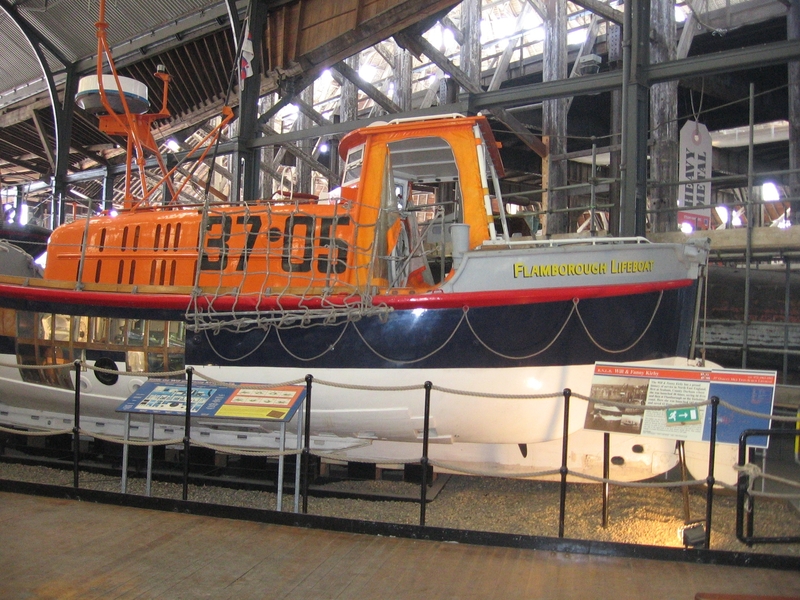 The vessel was sold out of service in 1994 and was put on display at RNLI, Historic Lifeboat Collection, Chatham Dockyard in 1996.